B.L Clearances service is predominantly aimed at domestic and small commercial clients who are looking for a quick compassionate service. We are licensed waste carriers willing to remove everything when undertaking a clearance, including clothing, bedding, tools, second hand furniture etc. In fact everything that is no longer required. 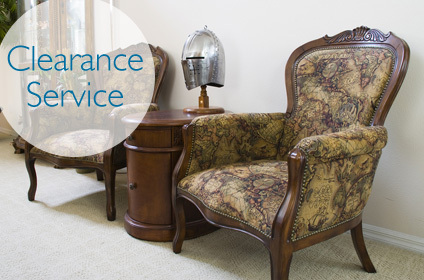 We do not just take the more valuable items, we remove it all. Full or part house clearances, garages, sheds, second hand furniture etc. can all be arranged. Terms are negotiated individually by mutual agreement, depending on the value and quantity of goods to be cleared. We work with our customers in a sensitive time to your specific requirements. We currently have large and small vehicles to undertake a variety of jobs. We are also able to undertake small removals. 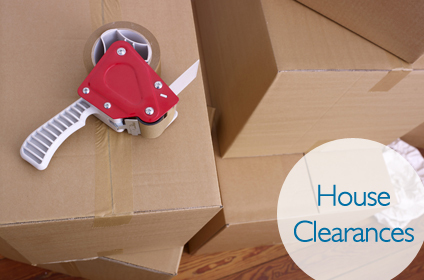 When we undertake house clearances some property may not be required, for instance second hand furniture. We take this property and sell them on at our auctions held in Oxford. On a commercial level, we do look to offer clearance services for offices. We can move these items to your new location, or dispose of them in a safe and secure manner as we are a licensed waste carrier. If you are looking for a quick, efficient and courteous, clearance service for your home or business, feel free to contact us on 01235 751 544 or 07702 221 893 for more information.